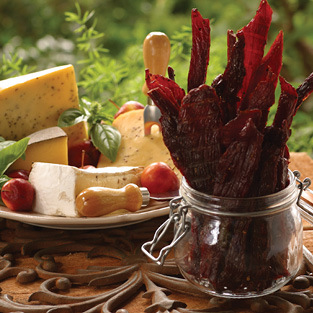 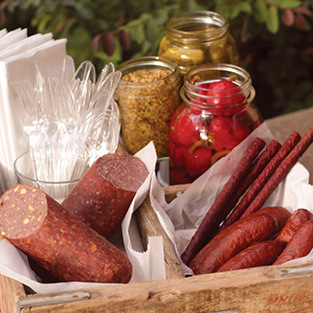 Turkey Jerky, traditional or spicy, the perfect snack! 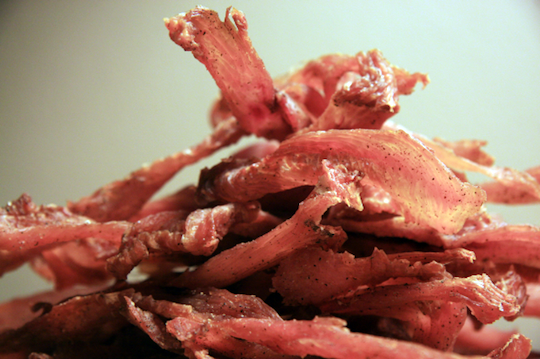 Turkey Jerky, slow-smoked over hickory, until it becomes just the right flavor and texture for great jerky. 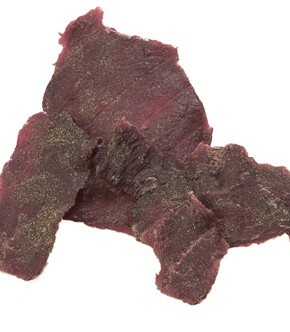 Jerky comes in a resealable plastic bag. 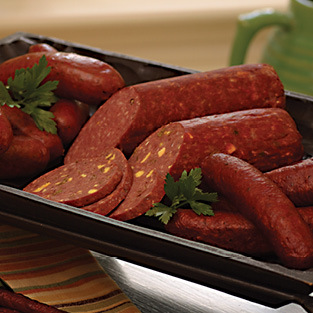 Contains 3.25 oz. 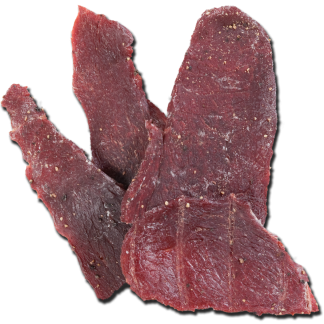 of Turkey Jerky. 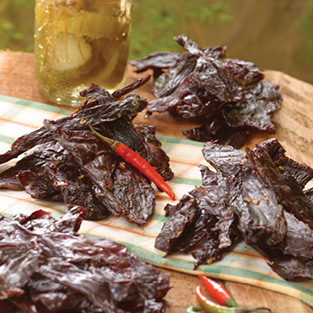 The finest turkey meat is used to make this jerky. 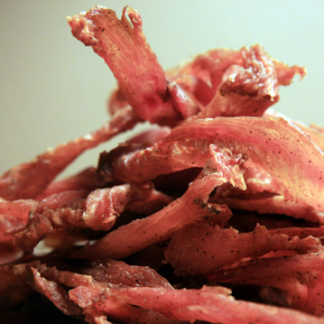 It is and slow-smoked to perfection using a family recipe that has been passed from generation to generation.